Hey guys, Nick here bringing more fun game reviews from Japan to you! 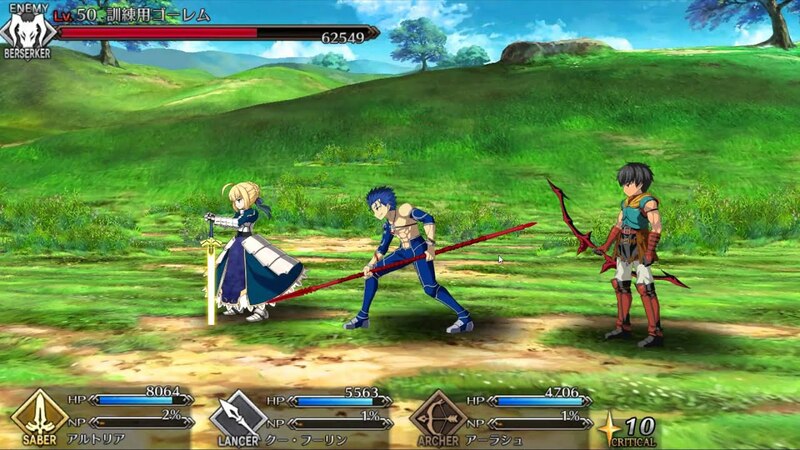 Today, we are looking at a Japanese title that is very popular on the Japan Apple iTunes App Store, called Fate/Grand Order. This awesome online RPG has some really cool elements that I think you guys will be sure to enjoy. Let's check it out! This game revolves around the Christian Relics, known as the Holy Grail and is centered in the midst of the largest Holy Grail war. The plot involves several stages of humanity's history where there are two split universes and things that transpired between different paths. Mashu, the protagonist must fight the way through corruption and other worldly ghouls to ensure the safety of the world, in both instances of the running world. The set-up for the game is a typical Japanese RPG, with some unique and fun elements that allow the game to stand out from others. For example, you will find the character models and backdrops very detailed. It almost looks like a real-time anime being played out right before your eyes. Using iOS key gestures you enter the context and battle menus to decide what attacks to execute against your foes. I found the gameplay to be fun, and a little simple, but the visuals is what kept me hooked, while I was playing. Above, I've linked a gameplay guide that will teach you the basics that the game offers regarding battle and story progression, without spoiling a thing. What did you guys think? Would this be a title you'd enjoy playing? Please let me know in the comment section, as I enjoy hearing your feedback! Fate/Grand Order, developed and published by Aniplex Inc. is available now free to download and play on the Japanese iTunes Japan Store. No Japanese iTunes account? No problem! We created a simple guide to get you started! At JapanCodeSupply, we are the premiere distributor of Japanese iTunes Japan Gift Cards, and other Japanese gift cards so that you can enjoy amazing content like this, plus much more, straight from Japan!